While strolling along Buckingham Palace Road on the way to watching the fabulous Changing of the Guard ceremony, I spotted an intriguing sign announcing the entrance to the Royal Mews. I checked my watch and I had plenty of time to stop in before the Changing the Guard ceremony began, and a helpful lady working at the Royal Mews recommended visiting before the crowds poured in after the ceremony. What a good London travel tip! The Royal Mews are the stables at Buckingham Palace, but more than that it where all of the road travel and arrangements are made for The Queen and the Royal Family. This includes both the fabulous horse-drawn carriages used in important processions and to mark special events and the state limousines and motor cars. 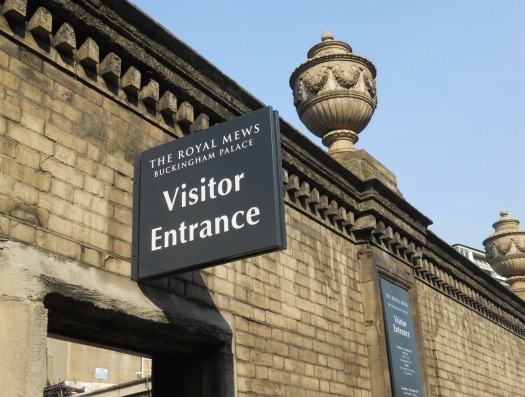 Once you step inside and buy your tickets and pick up the audio guide, which is very engaging and interesting, you step into the main courtyard of the Royal Mews. 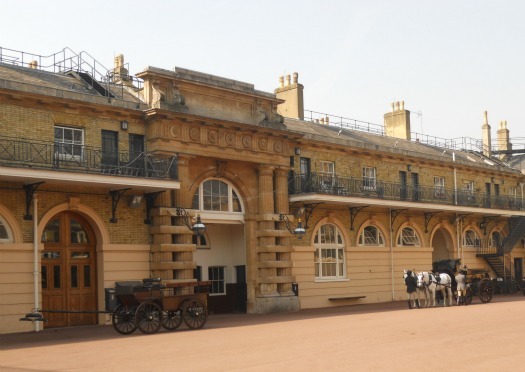 Here if you’re lucky you’ll spot some carriages in service or being prepared in the courtyard. It’s a reminder that just like Buckingham Palace the Royal Mews are part of a working palace. It’s an amazing feeling to walking through a living part of Britain’s heritage, and knowing how many important events have happened nearby at Buckingham Palace. 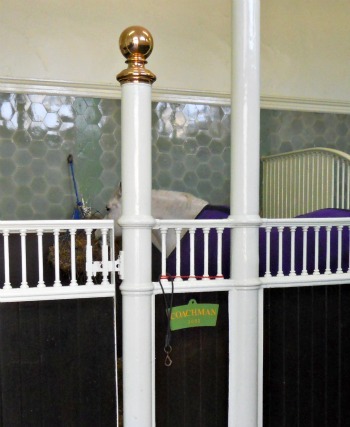 During the self led tour with the audio guide, you can walk through the stables where each stall is marked with a sign indicating the name of the horse. The Royal Family are very closely connected to the Royal Mews, and the names of each horse are presented to The Queen for approval. The parts of the Royal Mews open to the public give a glimpse into the care and attention to detail that takes place here. 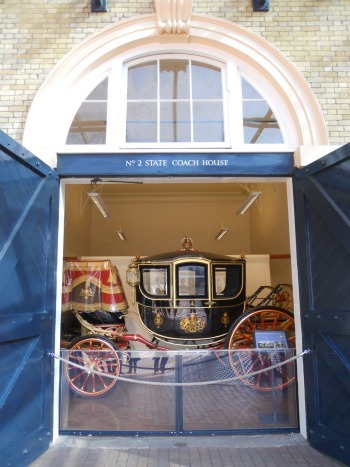 One side of the courtyard is lined with small rooms featuring some of the most important and beautiful State Coaches housed at the Royal Mews. The displays are lovely in that you can walk right up to the entrance and have a very close view of each one. Below you can see the refined Queen Alexandra’s State Coach, which was made in 1865. The gorgeous Irish State Coach, below, is a copy of the original created in 1851 for Queen Victoria and her husband Prince Albert by John Hutton & Sons, a famous Irish coachbuilding firm in Dublin. This carriage was used in the Coronation procession of King George V in 1911. 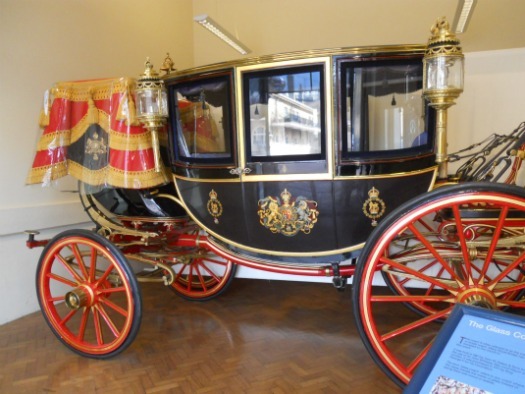 This carriage was also used frequently after World War II by King George VI for the State Opening of Parliament and ceremonial processions, a tradition that Queen Elizabeth II has continued. It was the Irish Coach that carried Prince Elizabeth, now Queen Elizabeth II, along with her father King George VI to Westminster Abbey for her wedding to Lieutenant Philip Mountbatten on November 20th, 1947. 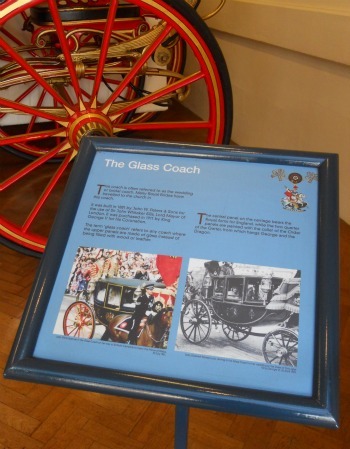 The Glass Coach is perhaps one of the most popular on view at the Royal Mews, and many visitors will recognize it from its use at Lady Diana Spencer’s wedding procession to St. Paul’s Cathedral to marry The Prince of Wales on July 29th, 1981. That wasn’t the first royal wedding where the Glass Coach made an appearance. It was also used by Lady Elizabeth Bowes Lyon during her wedding to the Duke of York, later to become King George VI, on April 26th, 1923. Informative signs are placed just beside each carriage with historic photos and information. Along with the audio guide tour, there was plenty of information readily available to bring the history of each carriage alive. 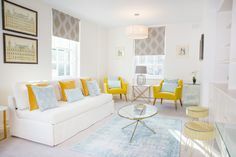 The Royal Mews isn’t just about horses, and a room off the courtyard between the Royal Coaches is dedicated to the history of the State Limousines. It was fascinating to read Queen Victoria’s words describing the “horrible machines” and her desire to never have them in her stables. 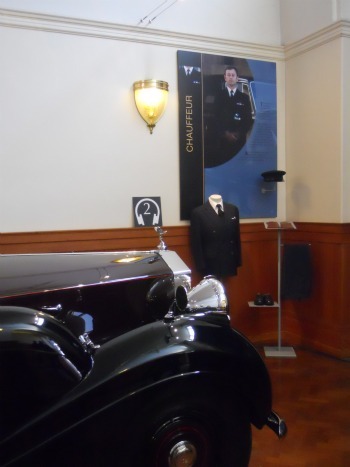 Her wishes were maintained until 1901 when King Edward the VII brought the first royal motorcar into the Royal Mews. 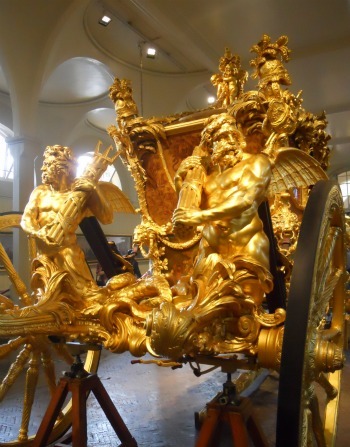 The most outstanding carriage on display at the Royal Mews is undoubtedly the Gold State Coach, which is presented in the stables in its full glory with replicas of four horses and the livery. Stepping into this room is an incredible experience! It’s wonderful to be able to walk all the way around the carriage and to be able to get such a close up look. On the day I visited there was a woman hard a work restoring and touching up the carriage. 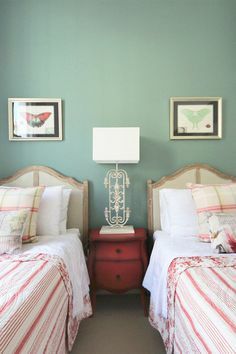 What a fabulous job! 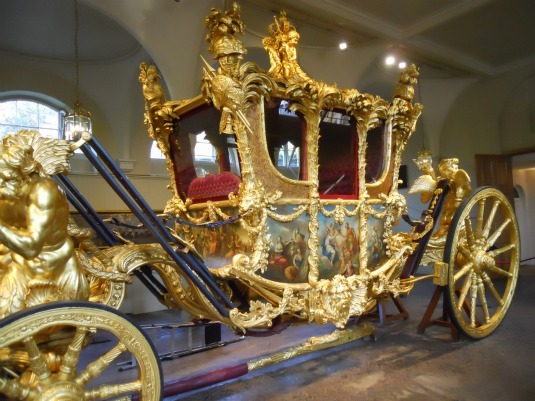 The Gold State Coach was commissioned by King George III in 1760. He employed the well-known architect Sir William Chambers to create a “very superb” coach that would be used for his Coronation and for his wedding to Princess Charlotte. The designs were so grand that the carriage was not finished in time for either important event. However, it finally made its grand appearance at the State Opening of Parliament on November 25th, 1762. The Gold State Coach was also notably used for the Coronation of Queen Elizabeth II on June 2nd, 1953. 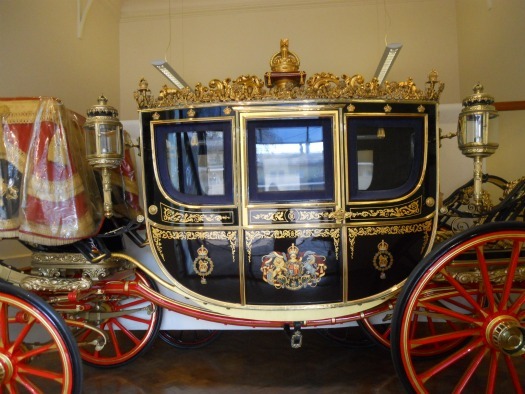 The Gold State Coach was completed restored in 1977 for The Queen’s Silver Jubilee, and a visit to see it at the Royal Mews is a fabulous way to celebrate The Queen’s Diamond Jubilee this year! One of the most impressive royal carriages ever built – the Gold State Coach! Walk all the way around the carriage while listening to the audio guide, which shares fascinating information about the Gold State Coach, including details on the side panel paintings by Giovanni Battista Cipriani and the intricate carved sculptures on the rear of the carriage depicting Neptune and Amphitrite arriving at Britain’s shores surrounded by mythical sea gods and nymphs. 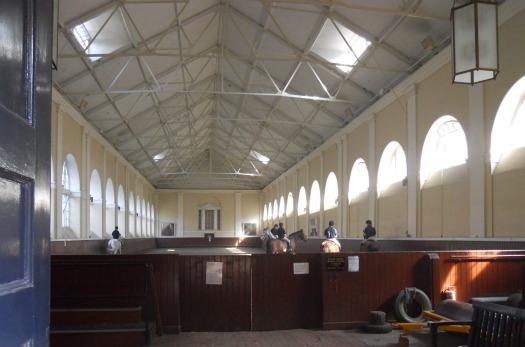 Before leaving, be sure to peek inside the Royal Mews Riding School where you might just catch a glimpse of riding lessons underway. Another reminder that you’re strolling through a living and active part of the Buckingham Palace. 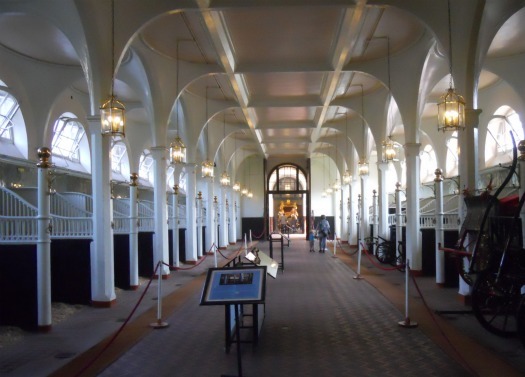 In fact, the staff and their families live on site at the Royal Mews. With glittery carriages, horses riding about and a fun audio guide, the Royal Mews is a great site to explore in London with kids. The whole family will enjoy the atmosphere and the way the presentations make the history so accessible and fun. Opening times for 2012 are as following: From the 1 April – 31 October, open daily 10.00-17:00. From the 1 November – 21 December, open Monday to Saturday 10:00-16:00. Please note that the Royal Mews are closed during State Visits and royal events. 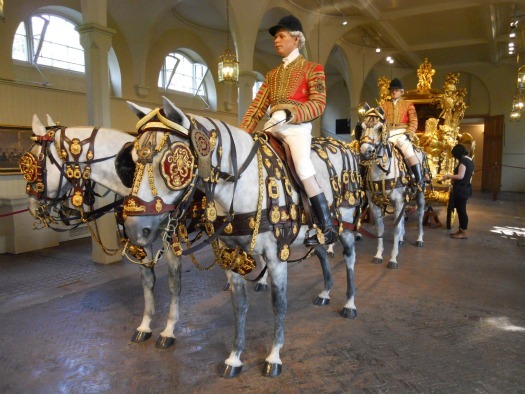 For the latest information on visiting, tickets and opening hours, visit the Royal Mews website. 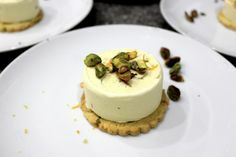 Posted on Tuesday, June 5th, 2012 at 5:10 pm in See & Do. You can follow any responses to this entry through the RSS 2.0 feed. You can leave a response, or trackback from your own site. 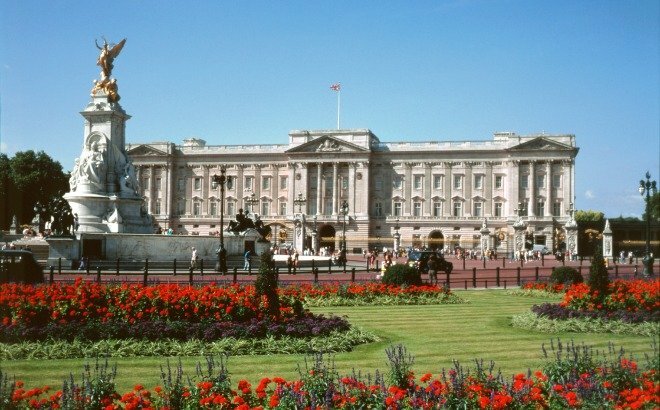 A Taste of the Royal Life at Buckingham Palace Don’t Miss the Chance to Visit Buckingham Palace this Summer! Buckingham Palace Reopens its Gates for Summer 2016 The Royal Wedding: Less than 24 hours to go!